Between the seemingly endless reading that I have to do for my Doctoral program, and the level of study required for sermon preparation, I have little time to read for pleasure these days. But whenever I get a chance to read Brennan Manning I find myself enriched. He has such a gift for taking the simple ideas of God’s love and pursuit and translating them into emotive, powerful anecdotes that touch me in deep ways. 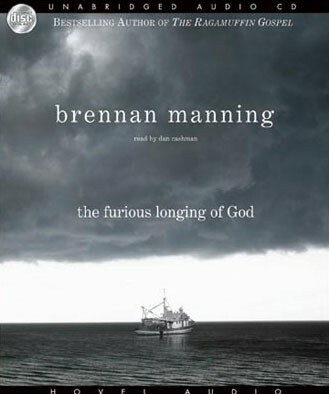 Over the past week I had the chance to read The Furious Longing of God, and I enjoyed it immensely. I grabbed a few of my favorite quotes and put them in a Word document, and have been reflecting on them this week. I thought I’d pass them along to see if they help you too. I’m not sure if they have the same power when taken out of context, but I’ll leave that for you to decide!